Founder and Senior Leader of Convergence House of Prayer. Pastor Greg enjoys sports, travel, family, speciality coffee and an occasional video game binge. His passion is to see global and city transformation through the power and presence of God as well as building leaders to reach their full potential in their calling. Wendi comes from a long fruitful heritage of pastors and revivalist. Her heart burns to see heaven touch earth and her passion for prayer and worship is contagious. 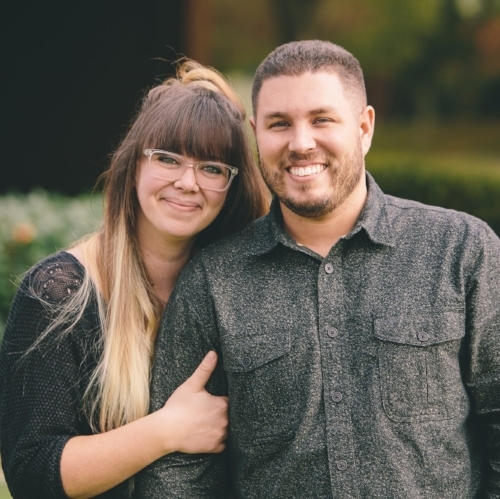 Andrew & Hannah have a passion to see the youth of America encounter the truth and unconditional love of Jesus. They've created a safe place for teens to ask questions, be themselves and work out their salvation together as a Momentum family. Andrew craves the outdoors and hunting. Hannah loves photography and snapping cute photos of their two sets of twins, who are two and a half years apart; Hope & Samuel, Josiah & Nehemiah. He comes alive when seeing people come alive to their calling in Christ. Jordan genuinely desires for people to become all that God has called them to be. Believing we are better together than we are alone is what drives his passion for community. When he's not shredding on the six string he's either sipping on coffee he roasted or checking his fantasy football team...or both! A Pastor's Kid from the rainy Pacific Northwest, Aaron has felt called to ministry since attending a kids camp in the 5th grade. He came to cHOP in 2013 for a children's ministry internship with Gina Hyatt as part of his requirements for Bible College. He's a master of 4 stringed instruments ranging from bass to ukulele. You can usually find him blasting bands with the word "foot" in the title while crushing at a board game.